Tri-City forward becomes 24th committed player on Storm roster. 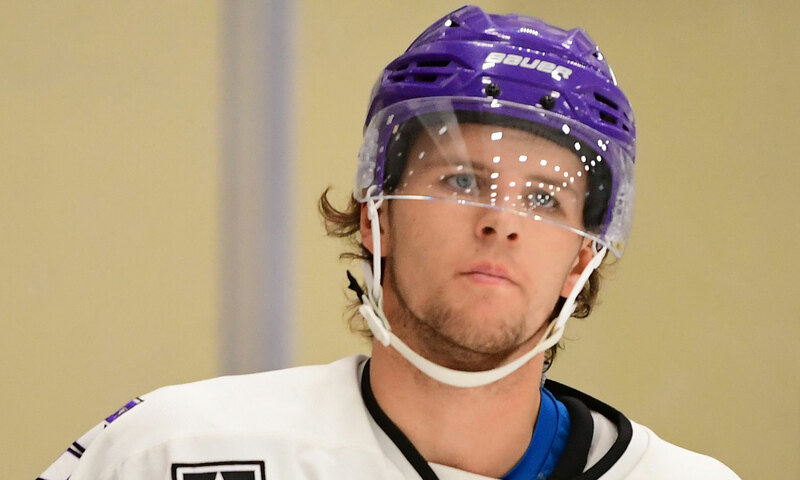 Tri-City Storm forward Filip Forsmark has announced his commitment to play college hockey at Merrimack College. With the commitment, Forsmark becomes the 24th player on the Storm’s current roster to announce a college commitment. Forsmark is in his 2nd season with Tri-City. “I went on a visit to Merrimack and really liked everything about it. After seeing the school, the rink, and meeting the coaching staff I knew it would be a great fit for me," Forsmark said. "It’s been nice to come back to Tri-City this season with a year’s experience playing in the USHL, the team is doing really well, and it’s fun right now." Filip Forsmark, 20, of Skovde, Sweden has skated in 71 career games with the Storm. With five assists through 11 games played in the 2018-2019 regular season, Forsmark is currently tied for the second most assists on this year’s team. He has scored 11 career goals and recorded 17 assists since his debut with the Storm on Oct. 13, 2017. Previous to his time with Tri-City, Forsmark skated for Skövde IK, Frölunda HC, and Örebro HK junior teams in Sweden. Forsmark was selected 50th overall by the Storm in the 2017 USHL Phase II draft.